When most people hear the word “theft” the first image that comes to mind is a burglar sneaking into your home to steal your valuables. But theft comes in many forms. What kinds of theft are there and how can you protect yourself? When a person who was entrusted with money or property steals what they were entrusted with, that is called embezzlement. Small businesses are often a target of embezzlement because there aren’t enough employees to provide checks and balances. The elderly are also a common target. Embezzlement doesn’t just happen in big cities. It happens close to home. Recently three South Carolina postal workers from Eutawville, Summerville, and Varnville were charged with theft. To protect yourself or your business against embezzlement theft do not keep a large amount of cash on hand. For your business, make nightly deposits to the bank. Have an outside accountant audit your books regularly. Be very careful about who you entrust with your money or property. Be especially careful about trusting someone who has personal financial trouble. That is a common trait of those who embezzle. 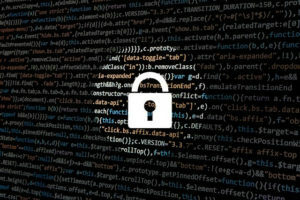 Identity theft has become increasingly common in the internet age because of the ease of which a thief could access your information. If a thief gets a hold of your driver’s license number or your credit card number he or she can open up accounts in your name. But even trusted companies can be hacked, exposing your information. Just recently, there was an Equifax data breach that could affect 143 million people. Some thieves still dig through the trash. Be sure to shred personal documents. Be diligent in checking your accounts to make sure the transactions are accurate. Many banks and financial institutions now offer this service. Or you can purchase additional identity theft protection. When online, be very careful about where you use your credit card information and social security number. According to the FBI, intellectual property theft occurs when a thief steals ideas, inventions, and creative expressions including trade secrets, products and parts, and movies, music, or software. Counterfeit parts and counterfeit pharmaceuticals are included in this definition. Again the internet age and digital files make this type of theft easier. Much of this type of crime takes place internationally where it is hard to track down the thief. Make it a priority to have data protection in place. Have your employees and others with access to your intellectual property sign a non-disclosure agreement. Identify exactly which pieces of data need to be protected. Think like a criminal. If you were a criminal what would you want to steal and how would you steal it? Use that as the starting point of how to protect yourself. If a deal on a software or other online product is too good to be true, it is probably pirated. Don’t unknowingly become a participant. Only purchase from trusted sources. 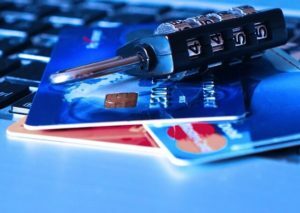 If you need specific advice on protecting yourself or your business from theft, Quick Group security consulting can equip you with the tools you need. If you have already become a victim of theft, Quick Group’s investigative skills can get you the information you need to bring the thief to justice. Please don’t let yourself be stuck as the victim. 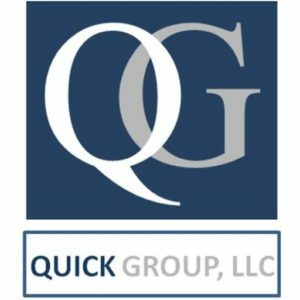 Contact Quick Group today.